songyupeng1 has no other items for sale. There are 490 items available. Please enter a number less than or equal to 490. We accept payment via Paypal & Credit Card payment can also be made via Paypal. Immediate payment is required & Shipping will be arranged only your payment is cleared. Good for price. Pads are too big & not as absorbent as 3 layer microfiber. FAST Shp/Attention to packing appreciated/Nappies & refills as desc/Thank U! 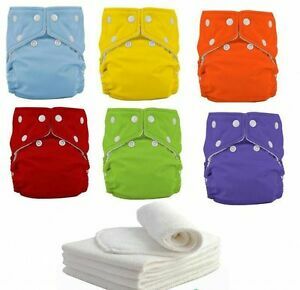 Fast Shp/Nappies as desc/Thank U! They still have not shipped it yet? Ehh cheap she pees right out of them! Very unhappy, pockets frayed already falling apart. Would not recommend. Seller is very kind and easy to deal with. 3 of my diapers were damaged tho.